A 29-year-old motorbike courier, who claimed he had been injured when a postman did an illegal “U” turn on a busy Dublin street, has lost a €60,000 personal injuries claim against An Post. Barrister Shane English, counsel for the national mail carrier, told Judge Terence O’Sullivan in the Circuit Civil Court Wednesday that numerous mail vans are owned and driven by independent contractors despite their vehicles carrying the official An Post livery. “Everything possible has been done to track down any An Post van in the Dublin fleet that was damaged, even slightly, on the day Declan McCann says he was knocked off his moped by one, and none can be found,” Mr English told the court. Mr English, who appeared with Gleeson McGrath Baldwin solicitors for An Post and Allianz Insurance, its national van insurer, had been informed that no independent contractor had been involved in any city centre accident on that day. He said An Post was not liable for independent contractors who could hold insurance cover on their van with any company. 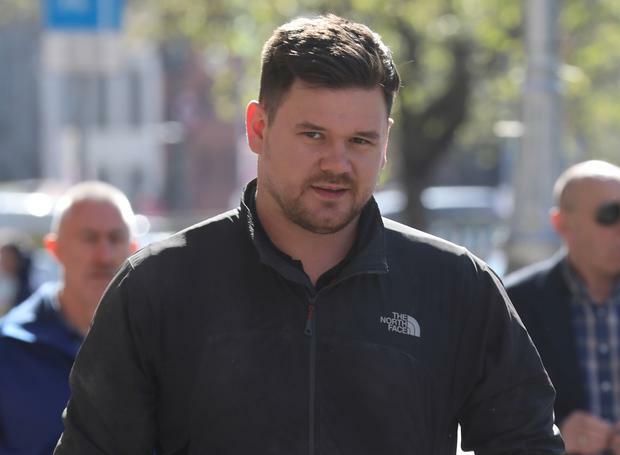 Declan McCann, of Sean McDermott Street, Dublin, told Judge O’Sullivan that on 11th April, 2016, he had been riding his moped in Leeson Street, Dublin, behind a green An Post van when it did a sudden “U” turn in front of him. He said he had been unable to avoid a collision and had been knocked off his bike, injuring his left arm and leg. McCann said he had spoken with the driver of the van but had not noted his name or details and had not taken down the registration number of the vehicle. He had also not contacted an independent witness or brought him to court to give evidence on his behalf. Cathal Hennebry, An Post’s motor claims manager, told the court that the national mail delivery company had changed its green livery in 2013 to a distinctive white and multi-colour design. He had been unable to trace any evidence or report of such an accident as described. Mr English said there was a very strict protocol to be followed by any driver involved in an accident, including a report to the gardaí and the completion of an accident report form to his or her manager. It was incumbent on a driver involved in an accident to exchange insurance details with a third party. Dismissing McCann’s claim, Judge O’Sullivan said he was satisfied there was no damage to any An Post vehicle operating in the city area at the time and accepted it was unlikely any An Post van had been involved in the accident sited by Mr McCann. “I am not 100 per cent sure this accident took place at all,” the judge said but made no order for costs against McCann. “If I thought this was a deliberate try-on I would definitely award An Post its legal costs but I have some doubt,” he told Mr English.